None of Us Were Like This Before recounts the dark journey of a tank battalion as its focus switched from conventional military duties to guerilla warfare and prisoner detention. Author Joshua E. S. Phillips tells a story of ordinary soldiers, ill trained for the responsibilities foisted upon them, who descended into a cycle of degradation that led to the abuse of detainees. 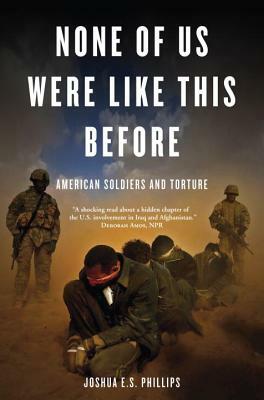 The book illustrates that the damaging legacy of torture is borne not only by the detainees, but also by American soldiers and the country to which they have returned.